Another Sunday has come, and this time I am snuggled up in my bed while the wind HOWLS outside. It sounds like a right tornado out there! Pinecone is laying peacefully in a cat loaf on the bed as only deaf Pinecones can do. So... Q&A's. Let's go. @MmeBeautyAddict asked, "When you and Alex are both in LA are you most of the time at his place or at yours?" We are lucky to live quite close to each other which is a blessing in LA traffic, and we definitely enjoy hanging out at both houses, but I would have to say mine about 80% of the time. He has housemates, and I don't, so we have more privacy and our own space when we are at my place. Plus, complete control over the TV remote! @NutellaNitKaese asked, "What are you putting in your planner other than stickers since you can't go anywhere?" I actually laughed a bit over this question because it's the same one Jelly asked me last night. "Elle," she said, "what exactly are you putting inside of those things you carry around with you? I saw them on Instagram." Well, when you are a normal un-broken human living your life, doing things and going places, you have many many more things to put inside of a planner. I however, have never used a planner as much as a time juggling tool as I have as a way to form out my day. Let me explain. When you are a mother juggling a job and a husband and 3 kids, all with different schedules, along with keeping the house clean and paying the bills and cooking dinner every night, a planner is necessary to actually juggle your time management. You might have to plan your dinners around which extra curricular activity a certain kid has on a certain night, or you might have to schedule a drink with a friend a month in advance to make sure you can get a babysitter in time. For people like these, a planner is something that is a tool to help them balance their life. It is a planner in every since of the word. These days, especially within the FaceBook planner community, people use planners for anything and everything. Some people have 5 or more planners going at any given time, one just for doodles, another for fitness, and yet another for budgeting, etc, etc. Planners aren't necessarily for time management alone anymore. I almost see it as a baby between scrapbooking and planning... it's just that people have kept the name "planner" for it. I've seen people decorate their planner pages when they have literally nothing happening that week. "It's a nothing week," they say, as they proudly show off their decorated planner pages. The point is, people do whatever they want with their planner within this community, and it's all accepted and understood. Grocery lists, video idea lists, lists about lists... they all go inside of my planner. My body is not at its best right now but my mind is still whirling at a million miles a minute. My planner somehow calms that down, and I love that. @annaschmidt23 asked, "What do you want your future to look like? Do you want to get married and have kids? Are you still going to do YouTube?" I definitely want to get married and have kids. 100%. I don't want kids right away; I think ideally I would have a couple years just with my husband to enjoy each other and travel before settling down with children. That being said, life happens. If it happens another way, I'll be ok with that. If I have a honeymoon baby I'll just be like, "Well, that's the way it was supposed to be then!" @allthatjuicy21 asked, "What TV Shows are you loving right now?" @LindaBloggt asked, "How do you deal with bad days? Sometimes it's so hard to leave the bed because everything is just a little too much." This question makes my heart hurt because I can feel the pain coming from it. I actually wrote a tumblr post about this a few years back. I will link it here for you; I feel it's worth the read. "Do you ever have bad days? Do you ever cry?" I am not perfect. I have bad days. I cry. I get upset. I get emotional, and unmotivated, and sad. I’m human. But… I also have amazing days. Beautiful, inspiring, happy days. Days that make me think, “I am so lucky”. And it’s those days that I choose to hold on to and cherish, rather than to hold on to the bad ones. I am lucky enough to be able to reach out through the internet and talk to lots and lots of people. And I choose, quite intentionally, to share positive and happy videos and ideas. Nothing would make me happier than knowing that I am doing what I can to make someones day a little more cheerful… so that’s what I do. It makes me happy to know I might be making someone else happy. We are lucky enough to get to choose how we want to portray ourselves, and behave on the internet. I am a big believer in “Internet Karma”, and that if you spread happiness you will get it in return. If you spread hate… then that’s on you. One of my best friends once taught me something. I was having a rough day, during my first year of college, and she explained to me her secret for happiness. She told me that the way she lives her life is this; that as long as she gets her work done, and cares for the people around her and herself, she does whatever she wants to, whenever she wants to. And it made me think… it seems like such an obvious piece of advice, but a lot of people do not take it. Think about it. Have you had days where you have completed your basic responsibilities, but you have 100 other “secondary” responsibilities that are stressing you out so badly that you can’t even think straight. And all you want to do is curl up in bed and read the new book you got. Most people wouldn’t even consider putting their secondary responsibilities on hold to curl up and read, thinking it lazy when you have other things to do, but that hour you would have spent reading might have enabled you to go about your day in a much happier way. It’s those little things that you let yourself do that can affect happiness long term. So next time you want to read, or take a bubble bath, or go for a walk outside, or watch a movie, or hang out with a friend, but you say no to yourself because you have “to much to do” (granted, this doesn’t include your main responsibilities… you should do those), consider treating yourself. And then doing it again the next time. And the next. If your sadness is affecting your everyday happiness and your ability to complete the things you must do (like school or a job) then I would seek medical help. You could have depression or any other form of a mental health disorder in which your brain is simply not producing the right chemicals, and there is nothing wrong with that. I'm not a doctor, so I encourage you to go see one. He or she should be able to help you. That being said, if this isn't affecting your ability to live your life, and it's just unhappiness every now and then, just remember that you're human, and humans are unhappy sometimes. We all have days where the world seems sad and overwhelming even if nothing is "wrong". Especially women, with our hormones bouncing all around. Loved the advice on bad days. Ive been a follower for 5 years Elle, and even when you are a "mommy blogger" I will still read your posts :) Much love from Canada, and I hope you're feeling better and healed up soon! Hi Elle! Thank you so much for answering my question! Also i am so happy that you take so much time on your answers to these questions! Not a lot of people would go into so much detail to answer questions! I hope you are feeling better! Also, how is that bug that Pinecone "befriended"? Say hi to Pinecone from me! Thanks again! 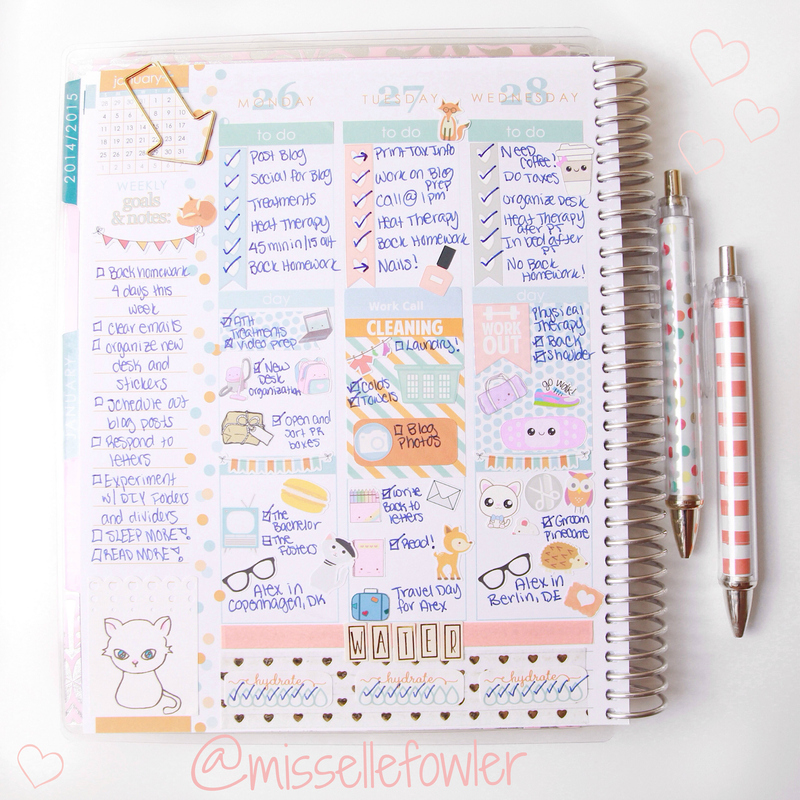 the excitement I get when I see your posts on my blogllovin feed :) I love reading and watching you and I've been not very busy so my planner is kind of empty with just stickers and you have just given me ideas. maybe a to-do list will keep me from laying in bed all day :) are you going to announce the stickers giveaway winner soon? I really want to know if I got lucky or not. Loved this blog post Elle! There are a lot of good YouTubers & bloggers out there, but I have to say, you're my favorite one! I'm dying to see a planner video go up on your account! May or may not check like everyday...... haha. I love these types of posts! The planner question made me laugh out loud because I have multiple planners (some just for doodles and stuff)! The advice about bad days was so insightful and just really awesome. Hope physical therapy is going well for you! Love this post so much! I like all the planner stuff as well. cant wait on you doing more on that! An I also like how you also help people and give people advice that are maybe a little depressed. I think the way you carry yourself on here being a sort of "Celebrity" in life is really good. There are some people I would hate my kid to look up to. But your not one of them :) well done is all I can say. Loved this. I've been watching you for a long time, and started youtube because of you, and now I'm a full time blogger. Thanks for being an inspiration, fellow AXO. This is so lovely! It's nice to get inspiration from you, and considering yourself lucky to have all the things we do have and the potential to grow everyday. We have friends, family and shelter - some people don't have it as easy as us, and it's truly important to cherish what we do have. You're planner is looking great, by the way! I love the colour, pictures and the arrow is the cutest paperclip ever! I call my puppy a loaf of bread when he lays down like pinecone is! His colouring is kind of tan too so it fits. Lovely post, these are some of my favourite's to read as I love feeling like I'm getting to know you better! I've been loving these Q&A posts! Keep doing them! Great post :) I hope you're feeling better soon. I miss your videos. You're such an inspiration Elle! Love reading all your posts! Elle, I just want you to know that I am absolutely in love with your blog posts. I check everyday for a new one (even though I am aware that probably won't happen) and am so excited when a new one is out. Ill admit that I do miss your youtube videos, but your blog posts and your twitter (love your light night rambles by the way) make me feel like I am right there with you. Feel better soon! I loved seeing the inside of your planner Elle! 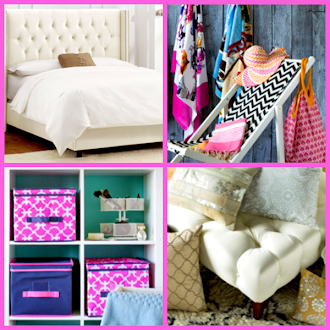 I am obsessed with planning too, I feel so disorganized without it! And glad to hear you are planning to stick with blogging for awhile. It's such a fun creative outlet, and I think you are doing so great with yours! Elle, you really are such an inspiration. I have most likely told you this multiple times, and will most likely say it again in the future. You are in a position to help out MANY MANY people and I see you doing that time and time again. Thank you. Thank you very much. Hey Elle, where did you get your hydration sticker from? I really enjoyed this post a lot thanks for the encouragement!! I really needed to hear (read) that. You made some good points about taking that little time for yourself. What is the FaceBook planner community of which you speak? I've tried looking it up, but I can't find anything for the life of me! Any specific groups or pages? Thanks! Elle, I absolutely adored your response to the final question. It was flawless and I wish I had someone like you to say that to me when I was younger!! I ♥ Etsy: Alex Studio Sticker Haul!